BSW Machinery, a subsidiary of Windmöller Hölscher (W&H), has introduced a new technology which allows the reduction of bag weight through indexed micro perforation. To enable filling of the bags in automated filling equipment the bags are perforated with small holes to allow the air to exit the bag when the cement is filling the volume. This perforation can be facilitated on tailored equipment, which produces endless tube from flat fabric or paper material. 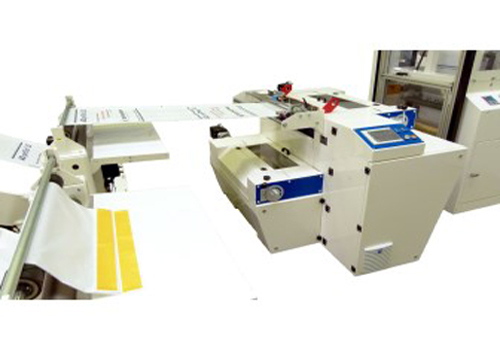 Another possibility is to do the perforation directly on the bag making machine. Micro perforation has been the industry standard for woven PP bags. What is new is the replacement of the micro perforation by “nano” perforation. The nanoTex creates much more and much smaller holes than micro perforation. The benefit is significant reduction of dust escaping through the vent holes. The more vent holes the better for ventilation. However, each hole is weakening the tapes which define the strength of the bag. Especially the feather edges are vulnerable when handling or dropping the bags. The new and protected concept of nanoTex cyclo strengthens crucial edges and other areas by indexed nano perforation. The perforation is disengaged whenever crucial sections of bag material are passing through. Synchronization ensures that the unperforated areas are matching to the print on the bag and are placed in a way that the critical zones of the final bag are made from unperforated material. BSW Machinery stated that the new technology will allow reduction of material usage. With nanoTex cyclo critical areas of the bags are also stronger compared to older technologies. Overall thickness and weight of the bag can be reduced while the bag maintains its current strength. How will industrial rubber products demand grow in mid-term?